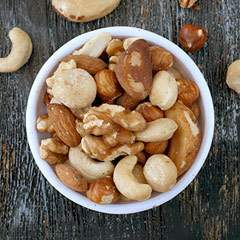 Raw Deluxe Mixed Nuts make a delicious snack. A blend of raw cashews, raw almonds, raw pecans, raw filberts, and more! Perfect to take on the go or displayed in a nice serving bowl for entertaining guests. Sure to please any nut lover. 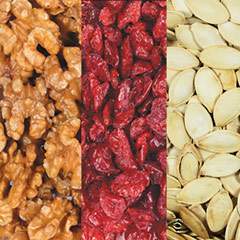 These hearty nuts are native to the Amazon region and are very versatile. They make a wonderful snack on their own and they can be used in a variety of ways to bring some crunch to your favorite recipes. Chop them up and add them to baked goods, sprinkle over yogurt or make a pesto. 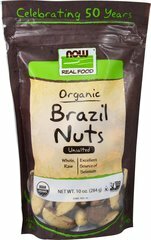 Brazil Nuts may not be as popular as other nuts, but don't be fooled - these little fellas are packed with just as much nutrition. 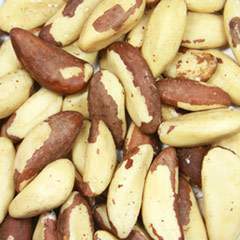 Native to the Amazonian rain forests of South America, Brazil Nuts are one of the richest known natural food sources of selenium, an important dietary mineral. They're also a good source of magnesium. Fresher ingredients simply taste better, which is why this product is packaged using NOW Fresh Fill Technology, a natural blend of carbon dioxide and nitrogen that displaces oxygen in the bag to maximize flavor and freshness. Staying healthy and active can be as simple as learning your ABCs. That's because just one senior multivitamin a day contains just that: all the essential letter vitamins and minerals your body needs. Your body is a complex machine, with many nutrients playing numerous roles to keep things running smoothly. Manufactured in the United States with ingredients sourced from around the world, this high-quality blend focuses on the needs of those over the age of 50. In this senior multivitamin blend, you'll get 100% or more daily values of Vitamins C, D, E, B-2, Niacin, Folic Acid and B-12, among others. That means support for your heart, immune system, bones, nervous system, and more. ** Compare it to other multivitamin brands and you'll see: Puritan's Pride blend brings you premium quality at the best value. 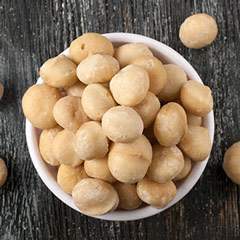 Macadamia nuts are deliciously sweet, providing a very unique, creamy nut taste. They also have a good source of Vitamins A, E, and Iron. Sure to please even the most discriminating Macadamia lover! Great for baking desserts.